This worksheet is for young learners. 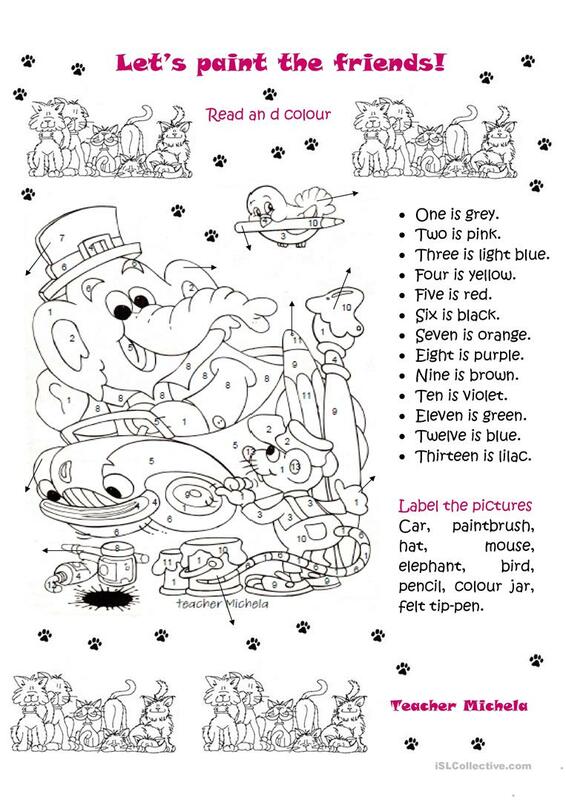 In the first task students have to colour by numbers and in the second one they label the pictures choosing the words given. It's useful to revise colours, numbers from one to thirteen and general language. I hope you like it! This printable, downloadable handout is a great resource for elementary school students and students with special educational needs, learning difficulties, e.g. dyslexia at Elementary (A1) level. It is excellent for enhancing your pupils' Spelling, Reading and Writing skills. It features the vocabulary topic of Colours.